With the freedom and comfort of DreamWear Full Face, you can sleep how you want. DreamWear’s innovative design prevents red marks, discomfort, and irritation on the nose bridge. This is the frame and cushion of the DreamWear Full Face Mask. This product does not include the headgear. 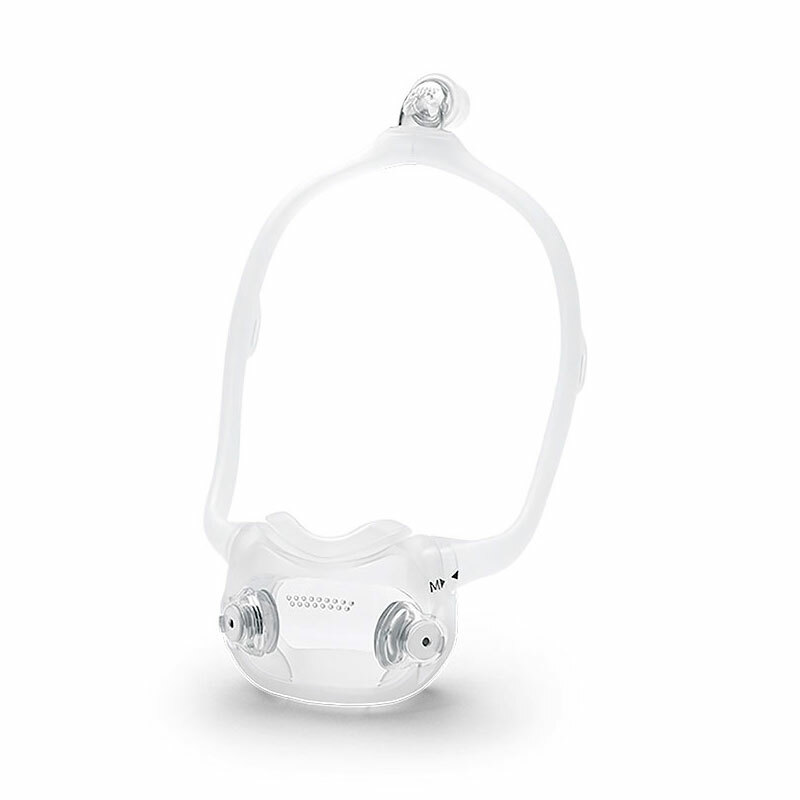 The DreamWear mask is the only full face mask on the market with the tubing connection at the crown of the head. This allows you to sleep comfortably in any position. Wear glasses, read and watch TV before bed. The open design of the DreamWear provides an unobstructed field of vision. To clean your mask please hand wash with warm water and mild detergent. Make sure that you rinse thoroughly and allow the mask to air dry completely before use. The DreamWear is safe to use in a CPAP Sanitizer machine (i.e. SoClean 2, or VirtuClean).